Downbeat is 3 p.m. Sunday, Feb. 17, for a free concert by one of Northeast Indiana’s premiere performing ensembles. 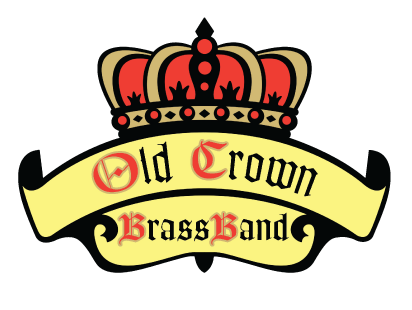 The Old Crown Brass Band brass and percussion ensemble is made up of local music educators and freelance professional musicians. The band will be performing a variety of music ranging from marches and jazz arrangements to orchestral transcriptions, Broadway show tunes, and movie scores. One of OCBB’s founders, retired Philharmonic tuba player Sam Gnagey, says the idea actually came from transplanted English tuba player John Tite. The whole thing came together one evening in August 2007 when Philharmonic timpanist Eric Schweikert and Gnagey were having a couple of beers at Acme Bar. They discussed how to get players, what kind of music to perform, and even tossed around what it should be called. An Old Crown Beer logo on the wall caught their attention, and they decided on the spot to name it Old Crown Brass Band in honor of the former Fort Wayne brewery. They put the word out and 15 musicians showed up for the first rehearsal in September. The plan was to show off the new ensemble at a December concert, but a snow storm delayed it until January. The history of Brass Bands According to Gnagey, brass bands originated in England in the early 1800s during the industrial revolution. Companies formed bands in order to defuse political activities of employees and as entertainment for the working classes. Though they were made up of a variety of instruments, most of the workers were provided brass instruments because, as Gnagey explained, many of them had lost fingers in industrial accidents. It was found that brass instruments were ideal since they required only three fingers to play a cornet or baritone and even fewer for a slide trombone. Companies actually hired musicians to work for them and play in their bands. Standard instrumentation for such a band is 28 brass players and several percussionists, depending on the requirements of the music being played. Today’s brass band includes cornets, flugelhorns, tenor horns, baritones, trombones, euphoniums, basses, and percussion. Since OCBB has no string or reed instruments, it performs music either written or arranged specifically for brass bands. OCBB, which has hosted the national competition here the past four years, took first place in the open section in 2013 and 2014. They captured third place in level three in 2016 and 2017. According to Gnagey, when OCBB started, many members had not touched their horns for years. Ninety percent of its members have music degrees and many were or still are high school and college band directors. The band offers well-trained musicians an opportunity to participate in a first-rate group that performs at the highest level. T.J. Faur and Bryen Warfield share the conducting duties.